Military Uses For Foam – Part II – Foam Factory, Inc.
Another foam material that is present in the daily lives of many service men and women are sleeping pads. Distributed throughout the branches of the military, a camping pad is one of the most important inclusions in the gear of military members. Given the mental and physical exertion of service members and the stress they experience, sleep is precious. The few hours a military member may be able to dedicate to sleep needs to be optimized, regardless of environment. Providing insulation against the cold ground and a cushion against hard and uneven surfaces, foam sleeping pads can make the difference in maximizing a few hours of rest. Foam Factory manufactures closed-cell foam padding that can insulate individuals from the ground and cushion against terrain while remaining light enough to pack. Both polyethylene roll and gymnastic rubber can be cut down to 1/8 of an inch, in a more standard 3/8 of an inch or in any other thickness desired. These materials are moisture resistant, easily cleaned and can be rolled and packed after use, all imperative factors for those using them. Military bases and offices are no different than their civilian counterparts, with sound deadening needed to promote efficiency and maintain focus. The military also has the added requirement of needing to maintain security, making sound treatment a matter of great importance. 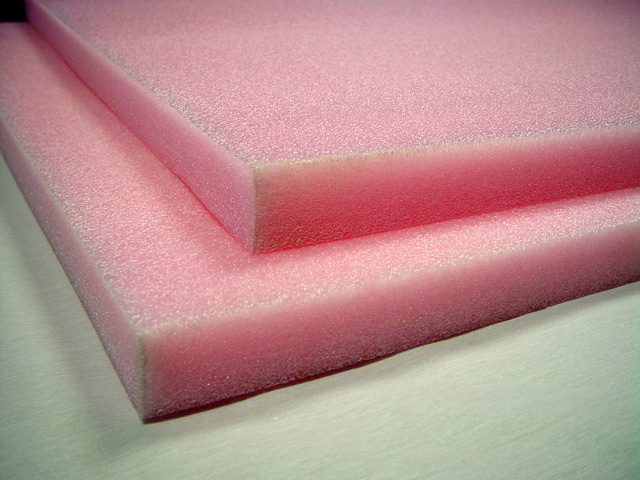 Whether it’s reducing the reverberation and echoes in a noisy cafeteria or common area or deadening the sound in offices and conference rooms, Foam Factory has sound deadening materials that can be a part of construction or applied to finished areas. 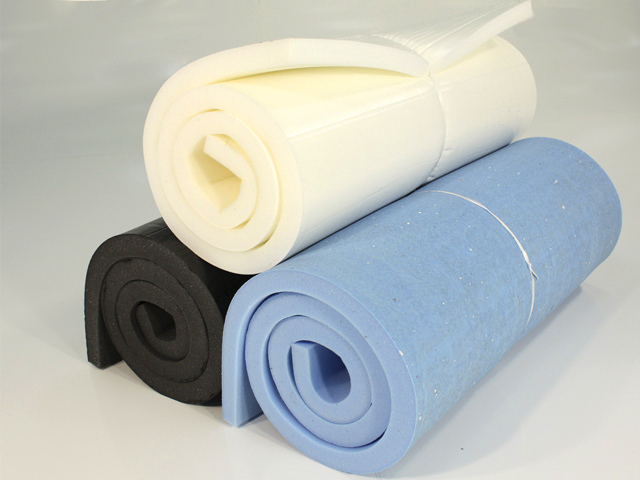 Closed-cell polyethylene roll and neoprene foam sound treatment can be added in any thickness to the interior of wall or floor construction for lightweight, space-saving performance materials that can reduce the transmission of noise. Acoustical open-cell drop ceiling tiles can also be factored into a room’s construction as or added later if acoustic improvement is required. For post-construction applications, acoustical foam wall tiles in pyramid, wedge or eggcrate shapes can be added to any area to reduce flutter, echoes and reverberation. These Class A fire retardant sound deadening panels are available in a multitude of colors and sizes to efficiently fit within a room. In the same fire retardant acoustic sound treatment foam material, Foam Factory also offers corner blocks, broadband absorbers, corner bass absorbers and studio columns to customize office spaces for further noise reduction. With military branches covering land, air and sea, practically every type of mechanical product created has been or currently is in use by the military in some capacity, with some of the most innovative, powerful and specialized inventions existing solely for military use. Considering the staggering number of mechanisms that must be maintained and repaired regularly, having access to the right tools for the job is a priority. Using polyethylene or cross-linked polyethylene foam, Foam Factory can manufacture custom inserts that securely keep tools where they need to be. Able to be customized to any tool box or chest, precision cuts are made to create snug fits around tools for organization and easy access. Any layout design can be specified and with a two-tone layered form, missing tools will be pointed out by the contrast of exposed, colored base layers against a dark top layer. The closed-cell foams used are moisture resistant and antimicrobial so tools can be quickly used and replaced in a rush, even if dirty. These inserts are particularly useful for on-site repairs, because they help ensure tools will not be lost, left behind or damaged while being transported. From its aforementioned uses, to boot insoles, to buoyancy material in the hulls of boats, foam is omnipresent in the military. Any material that goes into protecting the safety and increasing the comfort and capabilities of enlisted men and women performs an important role, no matter how small it may seem. This makes foam, in all of its varieties and types, an incredibly valuable resource to the U.S. armed forces, regardless of how it is utilized. Next Next post: Work On Your Fitness With Foam!